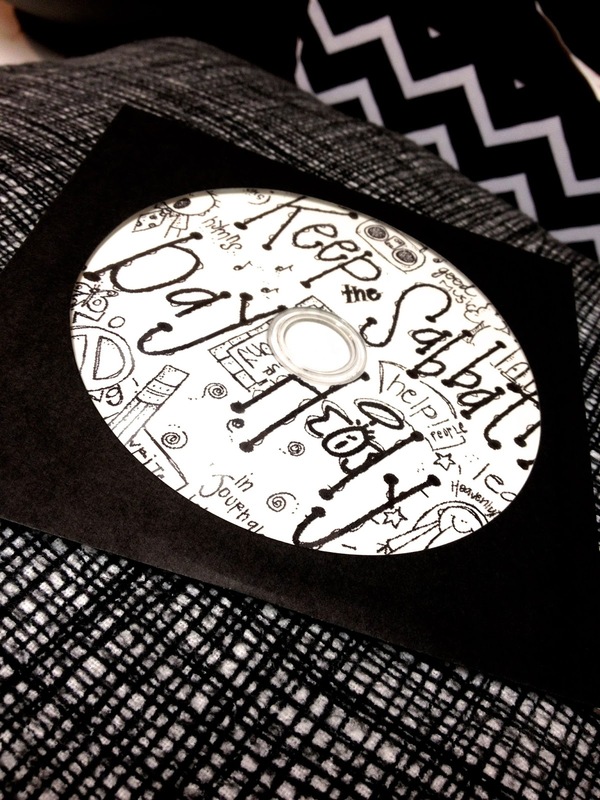 CoZy BuGz: Why Are We Commanded To Keep The Sabbath Day Holy? Or, for the young men, I made a manly version here. I found an amazing object lesson for this week by MeckMom. She mentions how our minds, bodies, and spirits all follow a pattern of needing to rest and regenerate. Try and have a young women memorize a long number and write it down on the chalkboard (example: 2657483619274958). Impossible, right? Read the number to her once more, but this time break up the digits into fours (2657-4836-1927-4958). With the little rests between, our brains are able to gather the information easier. Our bodies and spirits do the same thing! When he was 16 years old, Brother Christensen decided, among other things, that he would not play sports on Sunday. Years later, when he attended Oxford University in England, he played center on the basketball team. That year they had an undefeated season and went through to the British equivalent of what in the United States would be the NCAA basketball tournament. They won their games fairly easily in the tournament, making it to the final four. It was then that Brother Christensen looked at the schedule and, to his absolute horror, saw that the final basketball game was scheduled to be played on a Sunday. He and the team had worked so hard to get where they were, and he was the starting center. He went to his coach with his dilemma. His coach was unsympathetic and told Brother Christensen he expected him to play in the game. He went to his coach, telling him how sorry he was that he wouldn’t be playing in the final game. Then he went to the Sunday meetings in the local ward while his team played without him. He prayed mightily for their success. They did win. That fateful, difficult decision was made more than 30 years ago. Brother Christensen has said that as time has passed, he considers it one of the most important decisions he ever made. It would have been very easy to have said, “You know, in general, keeping the Sabbath day holy is the right commandment, but in my particular extenuating circumstance, it’s okay, just this once, if I don’t do it.” However, he says his entire life has turned out to be an unending stream of extenuating circumstances, and had he crossed the line just that once, then the next time something came up that was so demanding and critical, it would have been so much easier to cross the line again. The lesson he learned is that it is easier to keep the commandments 100 percent of the time than it is 98 percent of the time. Something that has always helped me invite the spirit into my home is uplifting music. The church website has so many great songs that you can download for free. I made the girls a CD of Sunday songs they could pop in a CD player, or add as a playlist on their phones to listen to when they're putting on makeup in the morning before church, or throughout the day. It has EFY songs, MoTab, and a couple songs that my mom wrote as well. The image I used to print on the CDs came from Melonheadz LDS Illustrations. I tried to decide what I could do this week to make this lesson stand out. I realized that when the girls grow up, they probably wont have many days where they look back and remember that one lesson we talked about why we're commanded to keep the sabbath day holy. 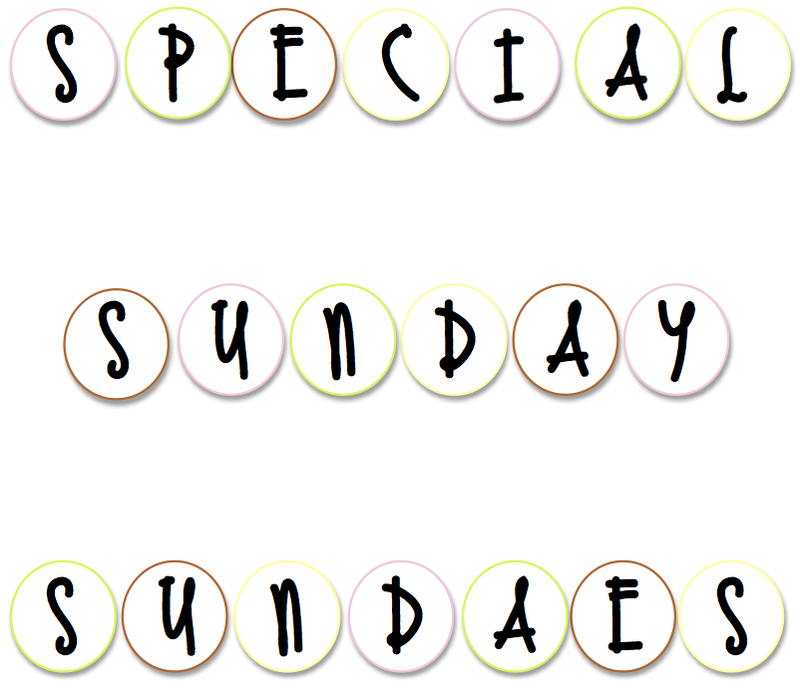 BUT... maybe they will remember the day we went to church and ate ICE CREAM SUNDAES!!!! Then they can associate that memory with feeling the spirit that day, right? I wish I brought my camera to church. It was so fun. I filled little mason jars with sprinkles and cherries and nuts, and we used little DoubleBerry Frozen Yogurt spoons. Then all the girls piled on chocolate syrup and whipped cream and created their own sundae masterpieces. I heart ice cream. 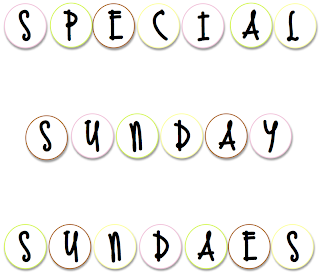 Do you happen to have this sunday object lesson saved? The link no longer works! thank you!! I'm sorry, Jenny! It's been so long I didn't realize the link didn't work. I tried searching her new website and couldn't find it in her search bar. She must have taken that post off. I'm trying to remember what it was about... The mental test might have been a number quiz where you try and have a young women remember a long number and write it down. First time say the number through really quickly (365748796012). Then try again and pause between every four numbers (3657-4879-6012). Talk about how our brains remember easier when we have that rest between the numbers. I really don't remember the wall-sit challenge though... Darn it! I wish I could help more. Sorry, but I am confused. 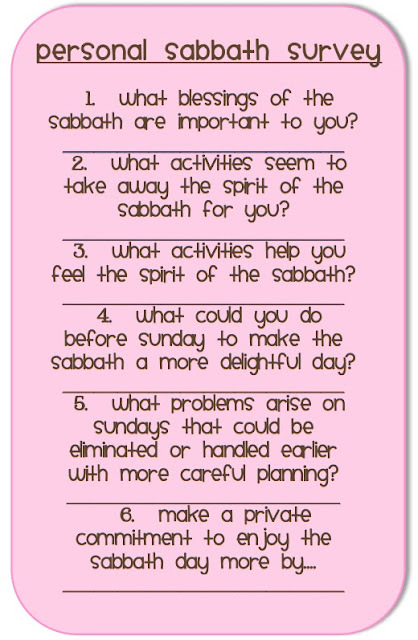 In any Protestant Bible I have read Jesus clearly states the Sabbath is the seventh day of the week which is a Saturday on our calendar. This is the 4th Commandment and has never changed since God gave all mankind the Sabbath at the Creation and commanded us to keep it holy forever. Since God is perfect and never makes a mistake, the Sabbath is still the seventh day, from sundown on the sixth day to sundown on the seventh. There was no "religion" when the Lord have us the Sabbath. 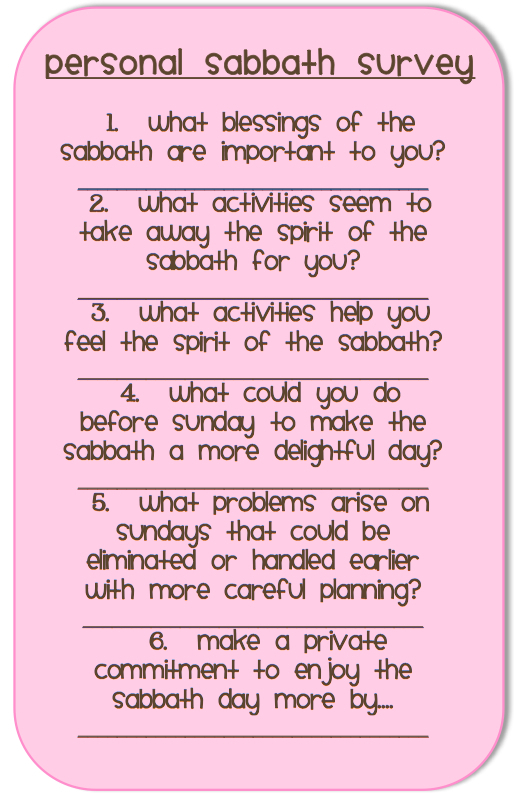 To back this up, the word for Saturday in many languages today IS sabbath! I think the best part of all this is how even though we may worship on different days, we are all putting aside a day of the week to truly focus on the Lord and worship Him. So great!!! How Can I Be In The World And Not Of The World?